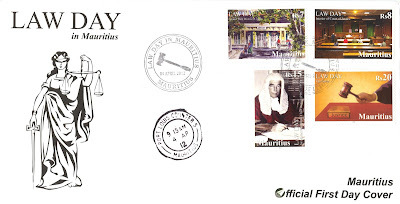 The Mauritius Post issued on April 4, 2012 a set of four stamps to mark the Law Day which is meant to reflect on the role of law in the foundation of a country and to recognise its importance in our society as a whole. The establishment and celebration of the Law Day is one of the accomplishments of the World Jurists Association. Mauritius celebrates Law Day on March 4 each year. On that date in 1968, the Mauritius Independance Order was passed, thereby giving birth to the Constitution of Mauritius. Mauritius is a democratic state constitutionally based on a rock-bedded rule of law. Our constitutuion also entrenches the principle of the separation of powers between the Legislature, the Executive and the Judiciary. Thus, our Judiciary is an independent body, headed by the Supreme Court which is held in high esteem nationally and internationally. The Supreme Court is the highest judicial authority in the country and is vested with all the powers and jurisdiction necessary to administer the laws of Mauritius. 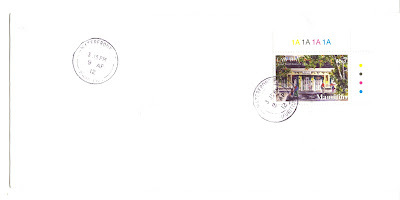 Cover cancelled at the Philatelic Bureau, in Port Louis, on the first day of issue. The Supreme Court also exercises supervisory jurisdiction over the subordinate Courts in order to ensure that justice is duly administered by any such Court. The Supreme Court has jurisdiction to determine whether any provision of the Constitution has been contravened, including the power to determine whether any law made by Parliament is void on the ground that it contravenes any of the provisions of the Constitution. Cover cancelled at Waterfront PO on April 9, 2012. The Law Day gives us an opportunity to pay tribute to the people of the Legal Profession in appreciation of their dedication of the ideals of equality, justice and the rule of law. The purpose of this day is also to reflect on the legal heritage and to inculcate respect for the rule of law in our democracy. It is a Court of first instance and is located in Mahébourg (South East). The Court House was renovated in 2000 whilst retaining its historical outlook. This is where court proceedings are held. 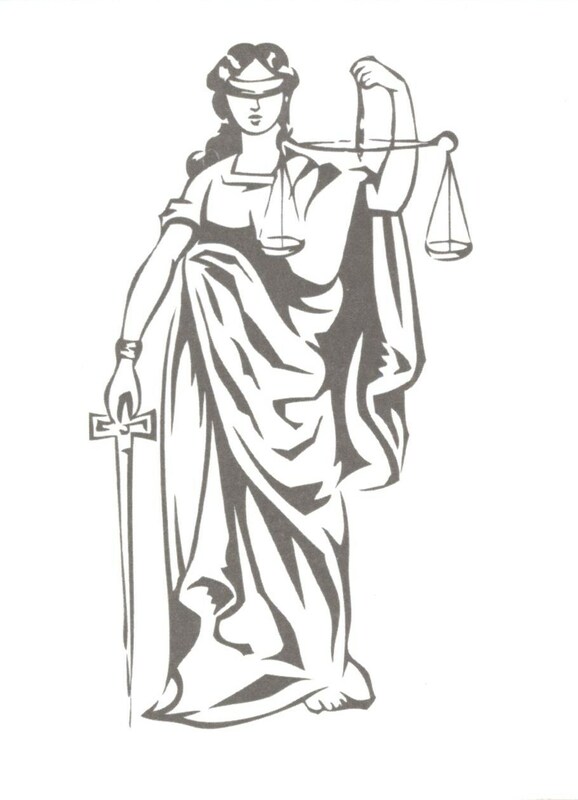 Mint set with Lady Justice illustrated on gutter. Sir Rivalland was the first post-independence Mauritian Chief Justice. He attended the Royal College Curepipe and was a laureate. He joined the judiciary in 1942 and was appointed Chief Justice on February 7, 1967. 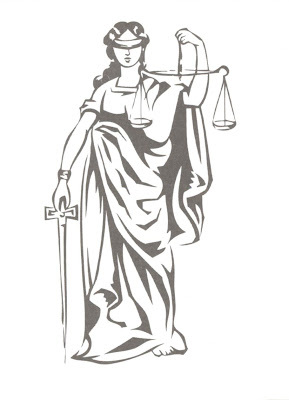 It is used in Courts of law as a symbol of authority and to represent the judicial system. Courtesy: Marc Daruty de Grandpré (owner of painting of the Grand Port District Court). Rivalland Family for the photograph of late Sir Michel Rivalland.